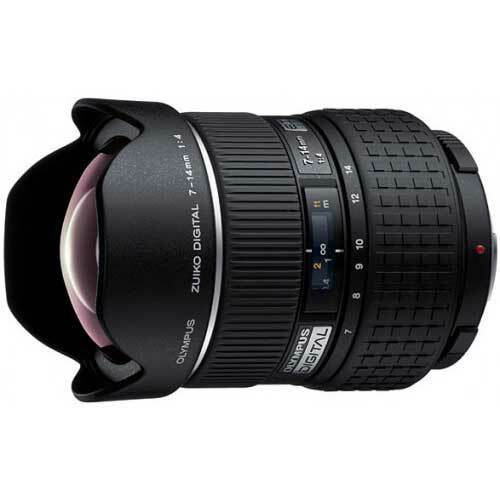 Lens Description: The Zuiko Digital ED 7-14mm f/4.0 2X is a wide-angle zoom lens, with a zoom range equivalent to 14mm-28mm on a 35mm film camera. By incorporating large-aperture aspherical lens and a two-sided aspherical ED lens, it effectively corrects distortion and astigmatism commonly associated with wide-angle lenses. With a minimum working distance of just 10cm, the lens allows the photographer to work extremely close to the subject. Excellent lens pro version though found edge a little fuzzy at 7mm.